A generator produces electricity. In a generator, something causes the shaft and armature to spin. An electric current is generated, as shown in the picture (lighting bolt). Lots of things can be used to make a shaft spin - a pinwheel, a crank, a bicycle, a water wheel, a diesel engine, or even a jet engine. They're different sizes but it's the same general idea. It doesn't matter what's used to spin the shaft - the electricity that's produced is the same. A motor uses electricity. In a motor, the electricity comes in through wires attached to the positive (+) and negative (-) terminals. The electric current causes the armature and shaft to spin. If there's just a little current and it's a small motor, it won't do very much work (i.e. it can only spin a small fan). If it's a large motor and it's using a lot of electricity, it can do a lot of work (i.e. spin a large fan very fast; lift a very heavy load; or whatever the motor is being used for). A commercial utility electric generator -- for example, a 180-megawatt generator at the Hawaiian Electric Company's Kahe power plant on Oahu -- can be quite large. It is 20 feet in diameter, 50 feet long, and weighs over 50 tons. The copper coils (called the "armature") spin at 3600 revolutions per minute. Although the principle is simple (copper wire and magnets), it's not necessarily easy! Steam turbine generators, gas turbine generators, diesel engine generators, alternate energy systems (except photovoltaics), even nuclear power plants all operate on the same principle - magnets plus copper wire plus motion equals electric current. The electricity produced is the same, regardless of source. So where do all the different fuels come in? It's all a question of how to get (and keep) the system moving (i.e. how to keep the copper wire spinning around). In a steam power plant, fuels (such as petroleum, coal, or biomass) are burned to heat water which turns into steam, which goes through a turbine, which spins...turning the copper wire (armature) inside the generator and generating an electric current. A geothermal power plant is pretty much a steam power plant, since what comes out of the earth is steam. Rainwater soaks into the ground and goes down, down, down...far enough until it reaches a region which is really hot (in Hawaii, that's about 6000 feet). A well is drilled, the steam comes out, goes through a heat exchanger, and spins a turbine... turning the copper wire (armature) inside the generator and generating an electric current. By the time the steam has gone through the heat exchanger, it has cooled off and become warm water. It is then re-injected into the ground. In a gas turbine power plant, fuels are burned to create hot gases which go through a turbine, which spins...turning the copper armature inside the generator and generating an electric current. In a nuclear power plant, nuclear reactions create heat to heat water, which turns into steam, which goes through a turbine, which spins...turning the copper armature inside the generator and generating an electric current. In a wind turbine, the wind pushes against the turbine blades, causing the rotor to spin...turning the copper armature inside the generator and generating an electric current. In a hydroelectric turbine, flowing (or falling) water pushes against the turbine blades, causing the rotor to spin...turning the copper armature inside the generator and generating an electric current. Consumers expect electricity to be available whenever they plug in an appliance, turn a switch, or open a refrigerator. Satisfying these instantaneous demands requires an uninterrupted flow of electricity. In order to meet this requirement, utilities and nonutility electricity power producers operate several types of electric generating units, powered by a wide range of fuel sources. These include fossil fuels (coal, natural gas, and petroleum), uranium, and renewable fuels (water, geothermal, wind, and other renewable energy sources). Coal was the fuel used to generate the largest share (51.8 percent) of electricity in 2000 1,968 billion kilowatthours(kWh). 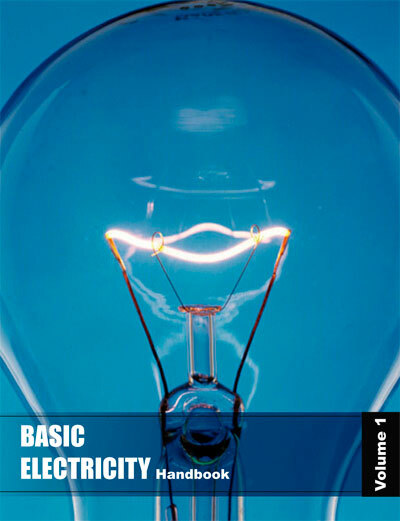 This is over one and a half times the annual electricity consumption of all U.S. households (1,141 billion kWh). Natural gas was used to generate 612 billion kWh (16.1 percent), and petroleum accounted for 109 billion kWh (3 percent). 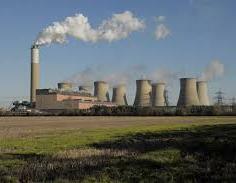 Steam-electric generating units burn fossil fuels, such as coal, natural gas, and petroleum. The steam turns a turbine that produces electricity through an electrical generator. Natural gas and petroleum are also burned in gas turbine generators where the hot gases produced from combustion are used to turn the turbine, which, and in turn, spins the generator to produce electricity. Additionally, petroleum is burned in generating units with internal-combustion engines. The combustion occurs inside cylinders of the engine, which is connected to the shaft of the generator. The mechanical energy provided from the engine drives the generator to produce energy. In 2000, approximately 40 quads of energy were used to generate electricity. Roughly one-third of this was converted into the 13 quads of electricity that reached end-users (3,800 billion kilowatthours). The other two-thirds wound up mostly as waste heat and dissipated into the environment. In nuclear-powered generating units, the boiler is replaced by a reactor in which the fission of uranium is used to make steam to drive the turbine. Nuclear generating units accounted for the second largest share (20 percent) of electricity generation in the United States in 2000, 754 billion kWh. Hydro electricity units use flowing water to spin a turbine connected to a generator. In a falling water system, water is accumulated in reservoirs created by dams, then released through conduits to apply pressure against the turbine blades to drive the generator. In a run-of-the-river system, the force of the river current applies the pressure to the turbine blades to produce electricity. In 2000, hydroelectric generation had the fourth largest share (7 percent) of electricity production at 273 billion kWh..
Nonwater renewable sources of electricity generation presently contribute only small amounts (about 2 percent) to total power production. These sources include geothermal, refuse, waste heat, waste steam, solar, wind, and wood. Electricity generation from these sources in 2000 totaled 84 billion kWh. Total electric power industry generation in 2000 was 3,800 billion kWh, 2.5 percent greater than the 1999 total of 3,705 billion kWh. Of this total, utilities net generation for 2000 was 3,015 billion kWh, and net generation by nonutility power producers was 785 billion kWh.